If you win, you live, if you lose, you die. A stirring struggle for power and freedom that changed the history of Europe. At just thirteen years of age, Constanza must abandon her family, her country, and everything she loves to marry an unknown man far older then her. Her father, the King of Sicily, is in grave danger, and for him, her matrimony represents a badly needed alliance. In the end, however, it’s all for nothing, because Charles d’Anjou, the brother of the King of France, soon invades and leaves the man dead. 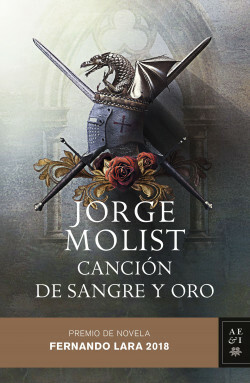 When he is crowned King of Aragon, Pedro III, Constanza’s husband, promises her he will avenge her father and recover the kingdom she was meant to inherit. In doing so, Pedro, widely thought to be a weak leader, will face off against the three greatest powers of the thirteenth century: France, the Pope, and Charles d’Anjou, who is now the Emperor of the Mediterranean. Fernando Lara Prize for the Novel, 2018. An epic tale of love and liberty that details the ways the Crown of Aragon and Sicily changed Europe’s history and shocked the world under the leadership of Pedro III.